Part of our Corporate Gifts program, this gift box offers five of our most popular antibiotic- and hormone-free cuts. 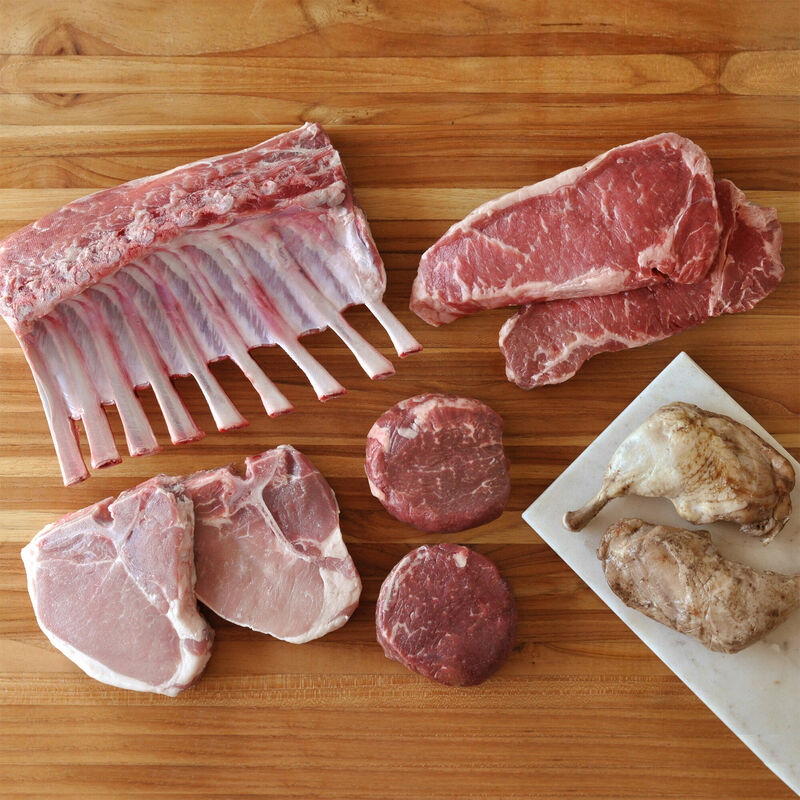 The Grand Carnivore Gift Box is a perfect choice for the meat-lovers on your gift list and includes: 2 grass-fed filet mignon steaks; 2 Angus beef NY strip steaks; 2 Berkshire pork porterhouse chops; 1 grass-fed lamb rack; 2 chicken leg confit and a brochure providing product information. Conveniently packaged in a D'Artagnan gift box this gift will provide several great meals for the lucky recipient.